OSWEGO — The SUNY Oswego President’s Award for Teaching Excellence will recognize Carolina Ilie of the physics department and Joanne O’Toole of the curriculum and instruction department. The Provost’s Award for Teaching Excellence for Part-Time Faculty will honor Stephanie Pritchard of the English and creative writing department. Their supporters lauded all three honorees for going far beyond the norm in supporting their students’ success. They will receive their awards at the SUNY Oswego Symposium on Teaching and Learning in the fall. 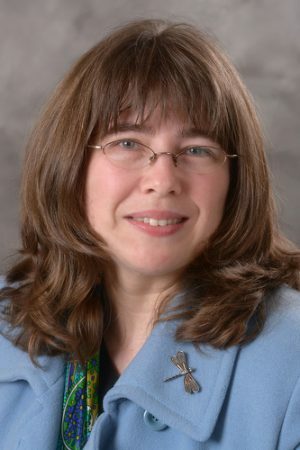 Since joining Oswego’s physics faculty in fall 2008, Ilie has distinguished herself as a students-first teacher and mentor, constantly encouraging and teaming with undergraduates to produce quality research projects and publications that build skills leading to success in graduate schools and careers. 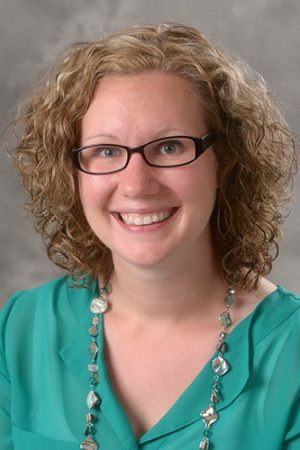 “Over the course of my four years and several research projects as a SUNY Oswego student, never have I had such a wonderful, energetic, helpful and dedicated mentor and professor as I have had working with her,” wrote recent graduate Kimberlyn Bailey in support of Ilie’s nomination for the award. Ilie’s teaching, mentorship and recommendation, Bailey wrote, helped her earn a highly competitive Postbaccalaureate Intramural Research Training Award with the National Institutes of Health starting this fall and a summer position doing biostatistics research at Harvard University’s T.H. Chan School of Public Health. Katharyn Christiana, a 2013 alumna, said Ilie’s support extended through her master’s degree program in mechanical engineering at Clarkson University. “Dr. Ilie would email me just to check up on me and she continued to advise me throughout my graduate career; if I ever became unsure of myself or my abilities, Dr. Ilie was always there to remind me that I was capable of anything I set my mind to,” Christiana wrote. Ilie, who has a doctorate in physics and astronomy from University of Nebraska-Lincoln, drew praise from colleagues, as well. Physics chair Shashi Kanbur wrote that Ilie “has established herself as an excellent teacher” of algebra-based, calculus-based and advanced physics, including mechanics and electromagnetism. She previously received the SUNY Oswego Provost’s Award for Mentoring in Scholarly and Creative and Activity. A former high school Spanish teacher who joined the School of Education faculty in 2010 after completing her doctorate at Syracuse University, O’Toole conveys her passion for teaching to students. Rachel Reid, a 2014 graduate and now a Spanish teacher at Utica’s Proctor High School, was among those who wrote letters of support for O’Toole’s award. “Her feedback made me want to be a better teacher,” Reid wrote. “I was so driven to show that everything she taught me was valuable and being put into practice. Kelsey Labbé, a graduate student in French adolescence education, credited O’Toole with sticking by her. 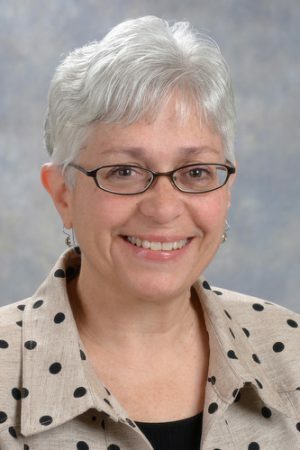 “Whether she is administering the oral proficiency interviews or advising students about the edTPA or even simply replying to my countless emails reassuring me that I have the strength and the ability to be a teacher, Dr. Joanne O’Toole has been crucial in my development as a student and professional in the field of education,” Labbé wrote. Students and colleagues said Pritchard, who has taught fiction and poetry writing as an adjunct faculty member for a decade, gives unstintingly of her time, counsel and skills. Junior psychology major Brittney Castagna wrote that Pritchard has helped her gain self-confidence and spent time encouraging her outside class. Leigh Wilson, the college’s creative writing program director, called Pritchard “one of our department’s strongest and most effective teachers.” Last fall Wilson asked Pritchard to codirect the DigitalOz website, to showcase the narratives of SUNY Oswego’s best students across all disciplines. Pritchard received her bachelor’s degree from SUNY Oswego and master’s degree from Vermont College of Fine Arts.